In 1868, the archeologist Antonio Gongorra Martinez made an important discovery. In the north of the province of Almería, he came upon some ancient caves. Remarkable bronze and stone age artefacts were unearthed. One cave was decorated with archaic symbols, figures of archers, mountain goats and deer. But the most common and recurring theme was that of a man holding a rainbow. It is thought that the ‘Indalo’ or ‘Rainbow Man’ most likely represented a Shaman or God figure. In the 1870’s, local villagers took to daubing the symbol on their houses as a good luck charm, hoping to ward off evil. 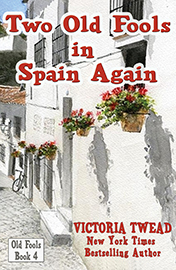 After an earthquake had destroyed the villages of Mojácar and Vera, the surviving inhabitants were understandably nervous. They took to imitating their northern Almerían neighbours whose villages had escaped lightly, believing the Indalo must have protected them. They copied the practice and made sure the remaining and rebuilt houses of Mojácar and Vera displayed Rainbow Men, too. And so the Rainbow Men marched across Almería. 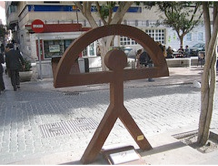 The prehistoric symbol was adopted as the logo for Almería, and a bringer of good luck. Today you will see the Indalo on car bumpers, statues, T-shirts, key-rings, shop fronts, everywhere. However, the good luck is conditional. 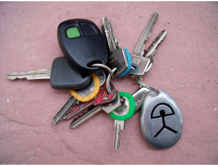 The superstition decrees that the charm will only work if you are given the Indalo as a gift. It’s simple – if you are presented with an Indalo, you will enjoy good luck. But beware – an Indalo purchased and carried by yourself will only bring bad luck. What happened when Vicky bought an Indalo man for herself? The Rainbow Man figure is curiously attractive. We had several around the house and garden, presented to us at various times. We were shopping one day when a little Indalo caught my eye. It was about the size of the palm of my hand and cast in some heavy kind of metal. It had sharp, angular lines apart from the lovely sweep of the rainbow. We were leaving the shop but I was strangely drawn back to the little figure. “Of course not,” I said, and purchased the little Indalo. I slipped it into my jacket pocket with my purse. The weight of it was comforting as it bumped against me as I walked. We were in the Post Office when I unzipped my pocket and felt for my purse. “My purse! It’s gone!” I said, desperately checking and rechecking the pocket. The Indalo was still there, but the purse had vanished. 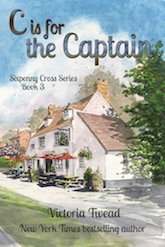 Close scrutiny revealed that the sharp angles of the Indalo had torn the pocket lining as I walked, allowing the purse to fall out. The Indalo had caught on the frayed fabric and was safe. “What a bloody nuisance,” said Joe, as we retraced our steps looking for the purse. “Don’t be ridiculous,” said Joe. “Here, give it to me.” I handed it over and he put it in the back pocket of his shorts. We didn’t find the purse but it hadn’t contained much, so its loss wasn’t disastrous, just annoying. We walked back to the car park, heavily laden with shopping. Suddenly, without warning, a car reversed out of its parking space causing Joe to jump back. He stumbled and landed heavily on his backside. The Spanish driver didn’t even notice and drove away without a backward glance. Joe’s face was a grimace of pain as I helped him back on his feet. “Did you hurt your back again?” I asked, concerned. It had to go. We gave the little Indalo to a puzzled passing shopper who thought it was part of a promotion. “Regalo, regalo (a gift),” we insisted, pressing it into her hand. She was bemused, but quite pleased with the present. Back at home, Joe was still rubbing his backside ruefully. He pulled his shorts aside and we both jumped at the sight. Emblazoned on his left buttock was the perfect imprint of a Rainbow Man, branded in fiery red. 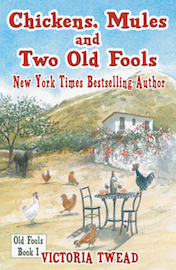 Read what happened next in ‘Chickens, Mules and Two Old Fools’.